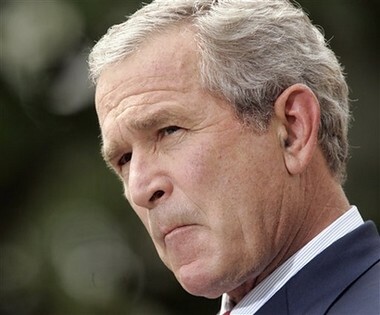 President Bush’s approval ratings are stagnant. Opposition to the Iraq war is high. Will Democrats be able to take back the House and the Senate this fall? WASHINGTON – The White House and maverick Senate Republicans have begun a fresh round of talks over how to handle the nation’s most dangerous terrorism suspects, resuscitating GOP hopes for approving a key piece of the president’s anti-terror agenda before the November elections. In a new offer, the White House has conceded changes to its previous proposal, while the Senate Republicans who challenged the administration’s plan say they are once again hopeful a deal could be reached. UNITED NATIONS – Ahead of his speech to other world leaders gathered here, President Bush on Tuesday said Iran must immediately begin negotiations on its nuclear program and warned Tehran that delay would bring consequences. Iran’s defiant pursuit of a nuclear program was at the top of the agenda when Bush met with French President Jacques Chirac on the sidelines of the three-day U.N. General Assembly meeting. The French leader is balking at the U.S. drive to sanction Iran for defying Security Council demands that it freeze uranium enrichment.